In 2004, the footballing world stood and took notice of Iraq as they participated in their fourth Olympic games. Entering the competition as real underdogs the Lions were expected to be knocked out early in the group stage due to failure of making a mark internationally. As well as not reaching a global tournament since the late eighties (World Cup 1986 & Olympic Games 1988), Iraq’s Olympic track record was not the prettiest either. One medal – Bronze, weightlifting in Rome 1960. However Athens 2004 really did put Iraq on the map as an odd defying campaign saw Adnan Hamad’s men inches away from an astonishing Olympic final. A defeat to Paraguay in the semis ended all hopes but convincingly cemented Usood Al-Rafidain’s place on the big stage. Fast forward to 2016 and Iraq’s Olympic team became favourites to take one of three qualifying spots to the summer games in Brazil. Iraq were predicted qualification for purely one reason – being the defending champions. Having said that, it was not all plain sailing for the Lions as the side suffered some big losses. Udinese’s Ali Adnan, Rizespor’s Dhurgham Ismail, and Ängelholms’ Rebin Asaad could not attend the tournament in Qatar due to club commitments. One man trusted to lead the line was Grasshopper Zurich striker Sherko Kareem. Kareem lit up the U-17 World Cup in 2013 which subsequently earned him a move to Switzerland from his boyhood club Al-Shorta. Although training in Doha with the squad, the striker was sent back on a plane before a game had even kicked off. Club Zurich had recalled his services. With preparation not going exactly to plan team selection wise, the side had a secret weapon. His name was Abdul Ghani-Shahad. This was the man who was responsible for gaining Naft Al-Wasat promotion to the Iraqi Premier League and winning them the title in their first season of top flight football. A simply sensational achievement. Shahad was roped in to lift the young squad and help achieve them qualification to a fifth Olympic tournament. Unbeaten in nine games prior to the championships, the U-23 manager was off to a flyer. Beginning at Qatar SC’s stadium, Iraq kicked off the championship in Doha facing minnows Yemen. A penalty converted by Ali Faez and a rebound finish from Ali Husny ended the game with a 2-0 win. Although not the most promising of performances, Iraq got the much needed three points ahead of a tough test against the Uzbeks. The next game was against an organised Uzbekistan side. A defensive mistake punished by Dostonbek Khamdamov put the White Wolvesahead in under a minute but some neat work from Husny set up goals for Amjad Atwan and Mahdi Kamel to give Iraq the lead going into the break. A dominant second half performance from Uzbekistan was rewarded when Timur Khakimov’s powerful header brought the game back level. However, in the final ten minutes of the match Iraq’s Humam Tariq remained calm before rounding the keeper and sealing qualification to the championships’ quarter-final. The last remaining group game took place at the Grand Hamad stadium. Up against one of the biggest teams in Asia, that being South Korea, one thing was on offer – a top spot finish. South Korea, who had also ensured qualification, took the lead early on after a Kim Huyn header found the back of the net in the first half. Then with seconds remaining with Shahad’s undefeated run looking like it was ending, Amjad Atwan earned the Lions a 1-1 draw extending the sides unbeaten run to 12 games. Iraq finished second on goal difference which set them up for an all Arab quarter-final against the UAE. 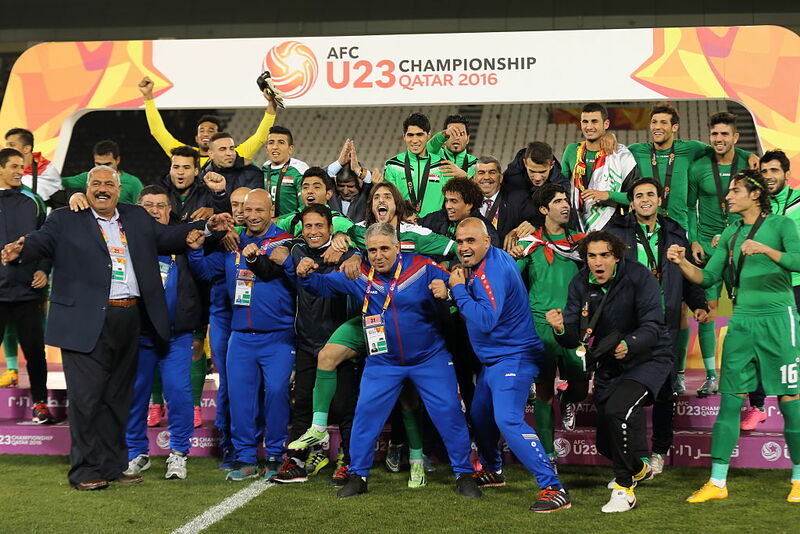 Two wins away from Brazil, Shahad’s U-23 side were getting closer to their ultimate goal. Though there was another big hurdle in the way. United Arab Emirates. It was without a doubt an even match up but the Usood Al-Rafiadinwere still favourites as nine players in the starting line-up that day had made national team appearances. The tie remained at deadlock going into the break with Abdullah Mesfer the happier of the managers following an impressive Emirati display. In the 75th minute they got their just rewards as Alaa Ali hit the ball in his own net to give UAE the advantage. Ali Husny, one of the tournament’s most influential players, came to the rescue once again as his equaliser three minutes later ruled out the freak moment which could have cost Iraq dearly. To progress to the next round both teams needed a moment of inspiration. It soon followed. A tactical masterpiece by Abdul Ghani-Shahad saw Humam Tariq switch as an unorthodox full-back and Bashar Resan was introduced to give a more attacking edge. This all whilst keeping the fittest and most pressing players on the pitch. It was counter attacking football simply at it’s best. The game finished a draw and the sides entered extra-time. Or should I say, Gonzalo Rodriguez time. A dominant start to the extra proved effective as Mohannad Abdul-Raheem opened his account at the most crucial of moments. 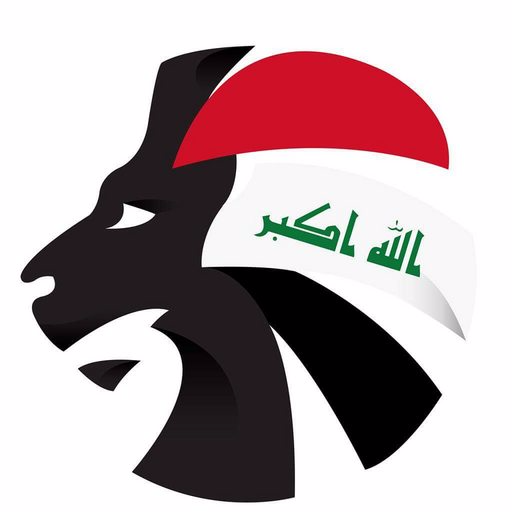 The last 15 saw Iraq continue with the high pressing and it was Atwan who added the third which sent the Lions through to the last four of the U-23 Asian Cup. The opponents that came between Iraq and Rio plus a spot at the final was no other than the Asian giants themselves, Japan. Arguably the best team in the tournament this was the game which would separate the boys from the men. Iraq had to step up to the occasion. A positive spell early first half in Lekhwiya went to waste as Yuya Kubo gave Japan the lead against the run of play. Yet, Iraq contested well and went into the half all square after some pinball in the box resulted in a Saad Natiq header which made it 1-1. Following the restart, one of the most even games of football fell upon us. It was a battle of the midfield between the two gutless sides. Mustafa Nadhim missed the target from close range late on which would go on to haunt the captain as seconds to go from extra-time Riki Harakawa drilled home the winner in the 93rd minute which knocked Iraq out, ended the 13 game unbeaten run and assured Japan progression to the final. Both finalists secured their spot at the Olympics. One was remaining. It all came down to this. The most important third place play-off match in Iraq’s history. A game that usually means nothing, meant everything. Winner takes all. Winner goes to Rio. The opposition – competition hosts Qatar. Like Iraq, Qatar also fell victim to a last gasp semi-final winner. Akram Afif topping the assist chart with his teammate Ahmed Alaa leading with the goals. They were no push overs. Qualification to the Olympics was Qatar’s hope of showing their investment in the sport had paid off. A large home support turned up at Al-Sadd’s stadium giving Al-Annabi an added incentive. It worked. From kick off the hosts spurned chance after chance in the opening period of the match. It looked too easy for them. Alaa went on to add to his impressive tally of five goals by giving his country the lead in the 27th minute. Iraq were on the back foot and if it was not for Fahad Talib’s heroics it could have easily been more. They were lucky to enter the break only a goal down. Mahdi Kamel’s introduction in the second half gave Iraq a much needed boost in all areas of the park. Humam Tariq once again slipped into full-back position and the Lions began to hit their stride. Shahad was sent to the stands after protesting the referee’s decision to not award his side a penalty. Though that did not stop the tactician from making one last move. Enter the field of play, Aymen Hussein. With the clock ticking it looked like Usood Al-Rafiadinwere to once again fall at the final hurdle. However, five minutes from time Mohannad Abdul-Raheem rose for a header which creeped in and sent his nation into euphoria. The late drama did not stop there as, into the second half of Gonzalo Rodriguez time, Aymen Hussein headed another floated cross into the opposition net. Game over. 1-2. Iraq had qualified for their fifth games. They will now be participating at the Olympics in Rio de Janeiro, Brazil – a dream come true for many. Aymen Hussein is not your average 19-year-old. Not just because his late goal against Qatar secured qualification to the Olympics but also for the awful suffering he has had to endure growing up. His father, Hussein Ghadban, was a general in the Iraqi army and was killed in a car bomb. In the summer of 2014, his brother was kidnapped which forced him to flee to the capital. His family is displaced and his mother is in a poor state of health. Hussein’s former coach Mohammed Jekah, the man who made him pro, was killed by recent attacks in Iraq. Not only did Hussein’s goal bring joy to over 40 million people but his story has inspired a nation. Aymen Hussein is a symbol of a modern day Iraqi. No matter how hard you try to knock us down, you will never be able to knock us out. Viva la Brazillia. In memory of Mahdi Abdul Zahra – former Olympic U-23 defender who was killed by an explosion last year at the age of 19. In memory of Hussein Ghadban – father of Aymen Hussein. In memory of Mohammed Jekah – former coach of Aymen Hussein. In memory of Tariq Faraj – former Iraqi player and father of Humam Tariq. In memory of more than 1,000,000 innocent Iraqis who have not made it from 2004 to watch Iraq compete in another Olympic Games.